Basically MTV Cribs, Chicken Edition. 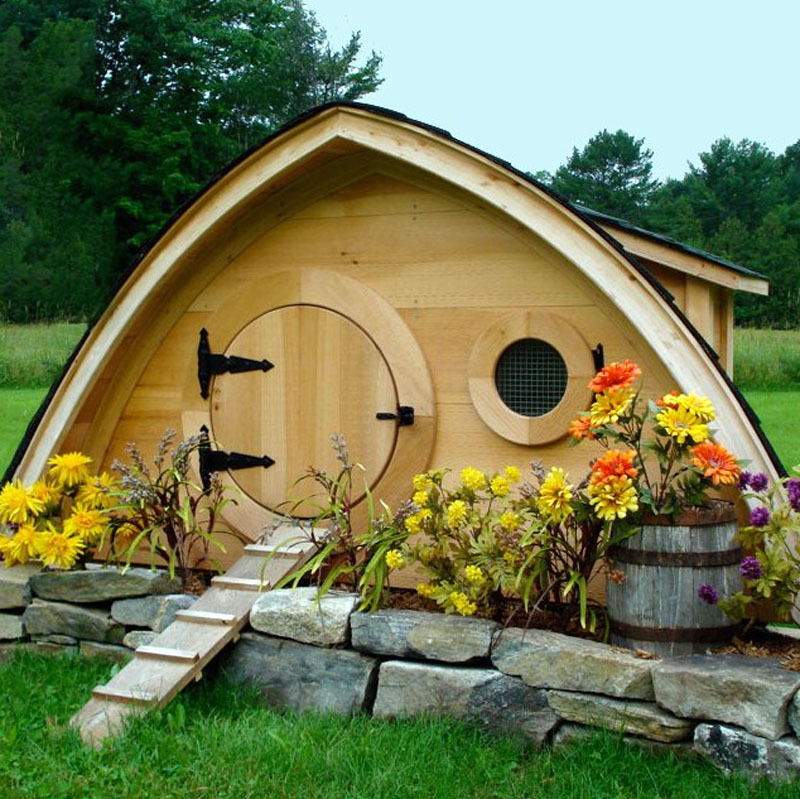 Your chickens will be the envy of the Shire! 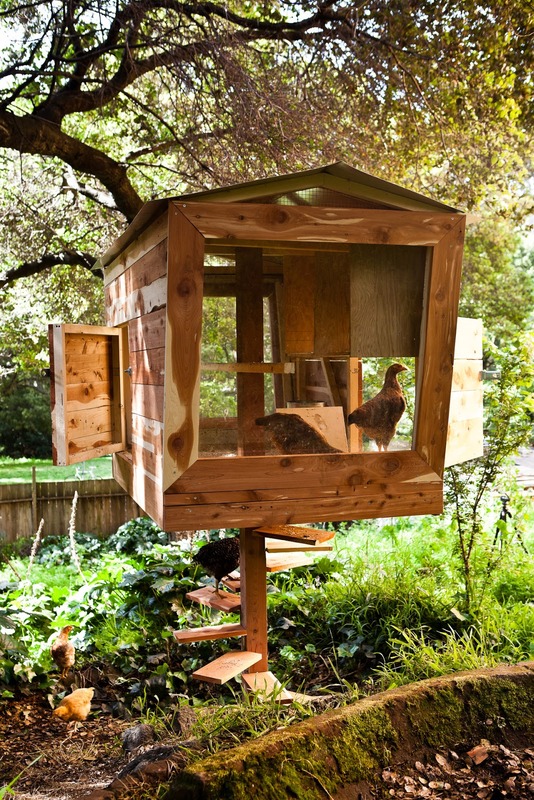 Your chickens will enjoy modern rustic living in an urban setting. This duplex features IMPOSSIBLY tall ceilings in the living area. $1,495 from Williams-Sonoma. The chickens love to congregate by the steps during recess. SO annoying to have to walk through your roommate's bedroom just to get to the feeder. CAN WE GET SOME PRIVACY IN HERE. Moving to the suburbs has its perks, like a fenced-in yard, a double garage, and curbside garbage pick-up. Check out the photos to see how this was built. For the minimalist chicken. Buy it here if you're in the United Kingdom. These chickens are hipper than other chickens and consume more communally grown organic mustard greens. The chickens enjoy tons of natural light with the built-in skylight and perch all summer long on the inviting yet casual patio furniture. See how this was built here. For the very boho-chic poulet. These chickens are practically glamping. This spacious loft features huge wall-to-wall windows, an oversized bath, and stunning panoramic views of the Manhattan skyline. Geodesic homes require less energy to keep warm, for the environmentally conscious chicken. See how this was built here. But will the youngest of the chickens ever discover the secret of the garden?? An ideal destination for chicken weddings. Located in the hip up-and-coming Fauburg-Marigny area, home to local artists and playwrights. Chicken Little once lived here. Still bigger than your apartment.